Ringing in the new year always gives me pause and makes me reflect on the past year’s accomplishments as well as looking forward to what the new year may bring. I work in retail and the dichotomy between December and January is staggering. Fully staffed on many days leading up to Christmas with the hustle and bustle of the season, to only the boss and myself for the doldrums of January. Still in the business of selling wine, but the sales come to a screeching halt come January 1. Long days at the store might be spent doing inventory, making schedules, making up (a lot) smaller orders, then spreading out time in putting everything on the shelf. In between all that, there’s a few computer games, music, movies and drinking hot water (because wow, it’s really cold here right now). With events that are coming up, I know I should probably spend my time a bit more wisely, but truth be told, I don’t want to. Yet one more time, I need to write an Italian wine exam, and my brain screams that I should be studying my flash cards, learning more minute details, and also researching for my next trip, but again, I just don’t want to. Let things come what may. I’ll pick up the flashcards closer to the exam, and learn as I go where I’m headed. Speaking of my next trip…something that came as a complete shock to me was an opportunity to go to South Africa. A friend of mine was there last year on an internship program, and she encouraged me to apply also. 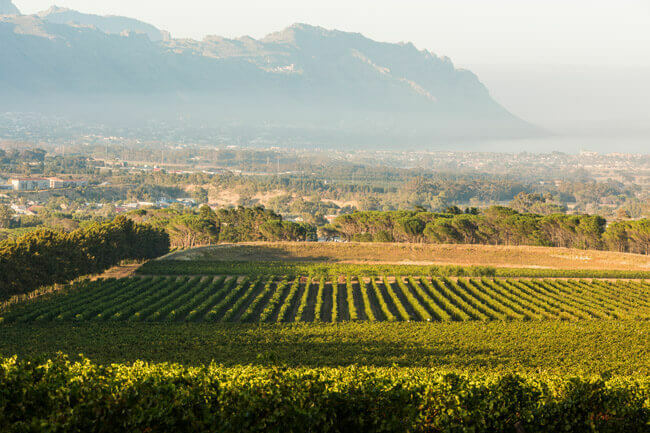 PIWOSA (Premiuim Independant Wineries of South Africa) is a group of wineries collaborating resources, ideas and expertise to promote South African wine of quality. I went on a press trip to Toronto in June, 2017 to meet these producers, and found out myself how to apply for this internship program. Only for women in the wine business, it’s a journey to learn all aspects of harvest in both the vineyard and the winery. I received the news in October that I had been chosen by Journey’s End Vineyards to assist in all matters of grape sampling, machine harvesting, hand harvesting, crushing, pressing, cleaning of tanks and barrel work, making additions, inoculations, lab work, sugar readings, and any other general cellar and vineyard work. What exactly does this all mean? Well, to be honest, I have no idea! Truly, I’m heading to Cape Town in two weeks with really no idea how much work I’ll be doing, when I’ll be doing it, or if I will have any downtime! There’s also the matter of being on a continent and in a country that isn’t always the safest! Ignorance is bliss as they say…I really don’t know what to expect. But what I DO expect is to be surrounded by some of the utmost beauty of landscape, to taste grapes that have come from the earth, with the help of nature, soil and weather; to marvel in another piece of God’s creation, in a part of the world I have not yet been. I’ll also expect to taste some great wines that we don’t see here in this part of the world. No band-aid or bad Brett, just quality, varietally correct wine. And THAT is something I expect! I look forward to sharing my journey with you, in pictures, posts and comments. As they say in Afrikaans, Gesondheid! This entry was posted in Life and Education, Personal Stories and tagged group winery, intern, learn, PIWOSA, Somerset West, South Africa, Stellenbosch, travel, trip, vineyards, Western Cape, wine. Bookmark the permalink.